Glaucoma care is a great challenge. Our aim as caregivers is, often with limited resources, to provide lifelong care to an ever-increasing number of patients suffering from a vision-threatening disease. To achieve this, we not only need to mobilize the available resources in the healthcare system but also must cooperate with our patients. Furthermore, we should discuss the importance of glaucoma care with policy makers and healthcare payers so that adequate resources are allocated to glaucoma care. Patient-centered cost-effective glaucoma management should be carried out at both the individual level and at group levels, covering those patients yet to be diagnosed. At present, elevated intraocular pressure (IOP) is the only factor we can modify in our daily clinical practice. However, our care should not be limited to this. We should bear in mind throughout the care process that our goal is to ensure a good quality of life for glaucoma patients at a sustainable cost. 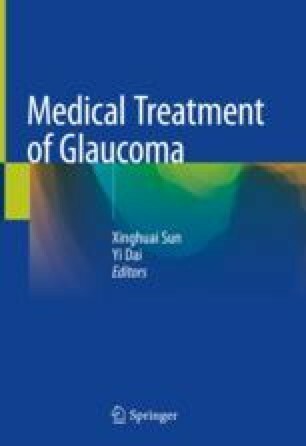 This chapter discusses the glaucoma care process at different stages of the disease, from early detection to low-vision rehabilitation. We feel that it is essential to establish a good cooperation with the patient, and ensure that the patient understands the importance of glaucoma treatment and adheres to the treatment regimen. This chapter ends with a brief discussion on “big data” analysis. Big data analysis with standardized criteria for diagnosing different types of glaucoma, well-defined patient-related outcome measures, and relevant hypotheses may provide us with insight into key areas of interest, such as vision-related quality of life, care quality, and effectiveness of treatment regimens. WHO. Vision 2020 the right to sight, WHO. 2007. http://www.who.int/blindness/Vision2020_report.pdf?ua=1. NEI. 2010 U.S. Age-Specific Prevalence Rates for Glaucoma by Age and Race/Ethnicity. https://nei.nih.gov/eyedata/glaucoma (2010). Norin O, Enström J, de Gosson de Varennes S. Beteende och behov hos personer i kontakt med vården. Website of Sveriges Kommuner och Landstning: https://skl.se/download/18.5e588ed415aa6ecabde9f48f/1489484509965/Beteenden%20och%20behov%20hos%20personer%20i%20kontakt%20med%20v%C3%A5rden.pdf (2017). WHO. WHOQOL: measuring quality of life. World Health Organization. http://www.who.int/healthinfo/survey/whoqol-qualityoflife/en/. WHO. Vision impairment and blindness. World Health Organization. 2017. http://www.who.int/mediacentre/factsheets/fs282/en/.